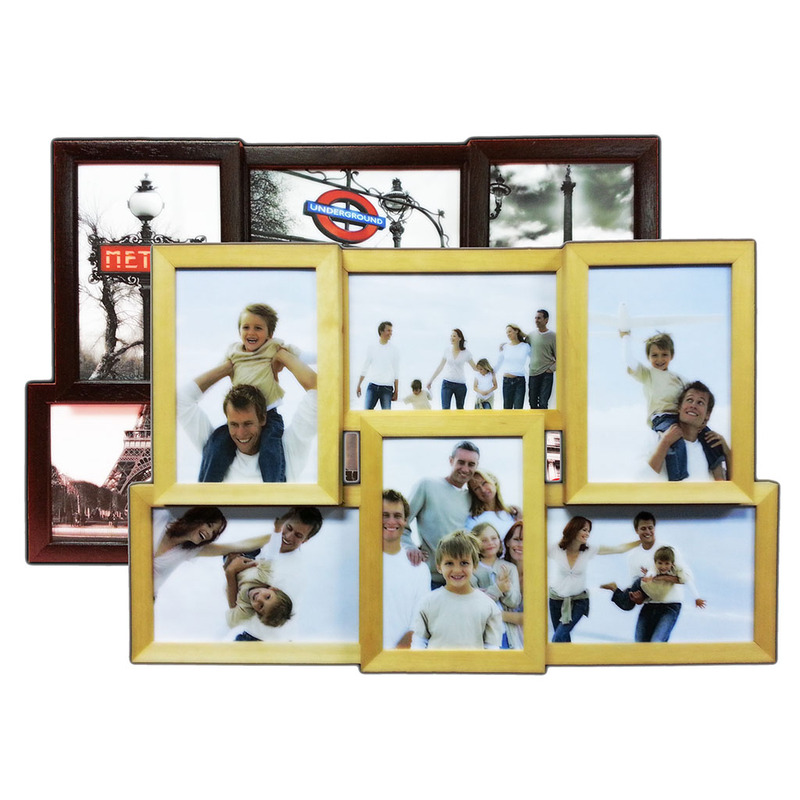 You’ll find many types of picture frames that are suitable for this purpose, from more traditional styles in neutral colors to bold, modern arrangements designed around a specific theme, such as family, wedding, baby, or graduation. When choosing a frame, consider how it will work with your pictures as well as how it will fit in with your overall decor. A solid frame in a bright color can provide a nice contrast for a collage of black-and-white photographs – think brick red, hunter green, royal blue, or pumpkin orange. On the other hand, brightly colored photos often look better in a simple black or silver frame that won’t compete with the composition. A wooden picture frame with rustic styling may be a great choice for displaying nature photos, perhaps from a camping trip. For a collection of more formal family photographs, consider a large oval frame for a striking effect. 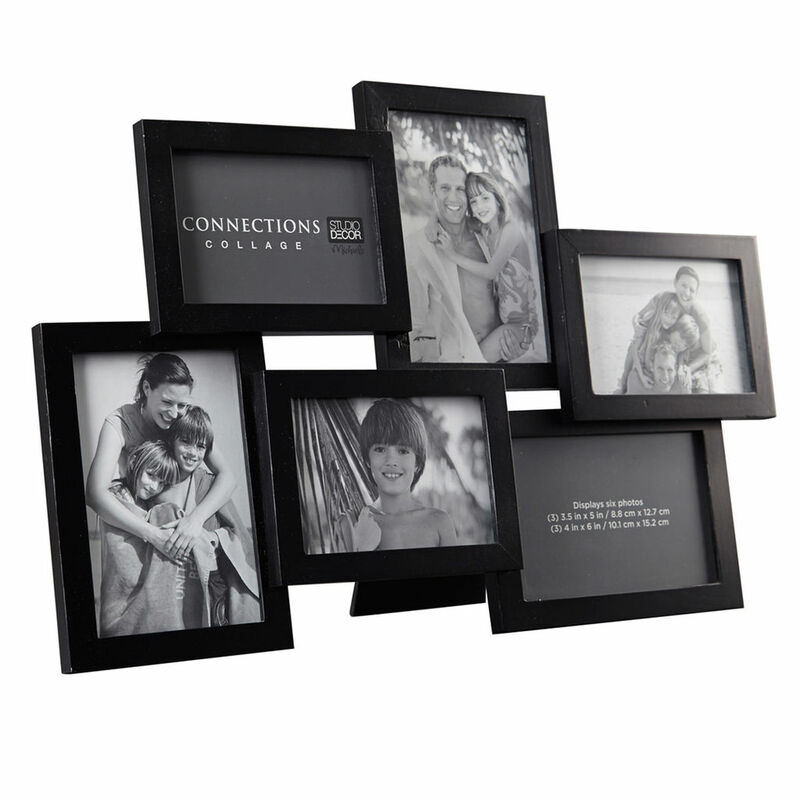 Collage picture frames can also be used to make a wonderful, personalized gift for a friend or family member. As an anniversary gift, you could make a collage that includes pictures from the wedding and pictures taken through the years. A son or daughter who has just left home will appreciate a collage of pictures from their childhood, reminding them of good times and important milestones. And grandparents are sure to appreciate a collage with photos of the grand kids enjoying themselves in the park or on the beach. The beauty of a collage arrangement is that each photo doesn’t have to be spectacular in itself; even a simple photograph of driftwood on the beach or a close-up of sea shells contributes to the overall effect. In fact, a variety of photographs will usually work well to keep the composition balanced. If you have spaces left over in your frame that you’re not sure how to fill, try a “scrapbook” approach and include items such as ticket stubs, pictures from a magazine or tourist brochure, postcards, souvenir matchbook covers, or other mementos. You can call us to schedule an appointment same day gladly to choose the picture framing that suits your needs best.